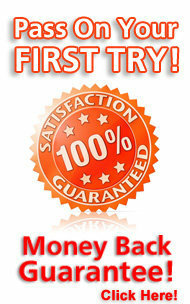 This site is owned and operated by the Company FirstTryCertify Ltd. 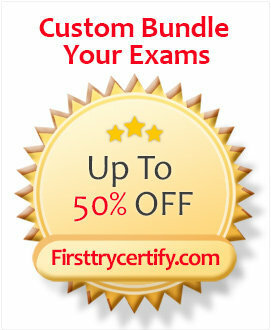 The Company provides you with access to a variety of certification through http://www.FirstTryCertify.com. If you visit or use this site, you affirmatively accept these Terms and Conditions and acknowledge that they constitute a binding agreement between you and the Company. 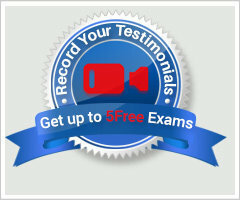 The Company attempts to be as accurate as possible in describing its products. However, the Company does not warrant that product descriptions or other content on this site are accurate, complete, reliable, current or error-free. If a product purchased on this site is not substantially as described, your remedy is to contact our live-support or support team ASAP. The Company respects the intellectual property rights of others. If you believe that your property appears on this site in a manner that constitutes infringement of your copyright, please do contact us at support@firsttrycertify.com and we will respond in the shortest time possible. Visitors to this site may post reviews, comments, and other content, so long as such content is not illegal, obscene, threatening, defamatory, invasive of privacy, infringing on intellectual property rights of or otherwise injurious to third parties, and does not consist of or contain software viruses, political campaigning, commercial solicitation, chain letters, mass mailings, or any form of "spam".